Search Results for "barbie doll"
Young woman cuts the hair off a female doll. Note: this is not a Barbie doll. Barbie doll Fashion Show (Showcase). Floating barbie dolls face down in a pool of water. Sparkle Girlz Fashion Doll: Toys & Games Store. 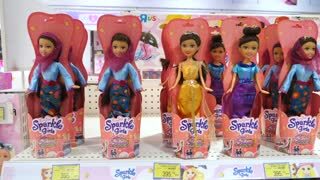 Sparkle Girlz Fashion Dolls On Display In Toy Store. A young girl in bright clothes with lollipops in her hands in a studio with balloons, marshmallows and ice cream, she covers her eyes with big lollipops. Barbie style. Candy girl. Girl playing with doll sitting on the floor near the fireplace. Christmas decoration. A cheerful girl with big lollipops in her hands closes his eyes with sweets in a bright room with balloons and a large plastic ice cream, she is dressed like a barbie. Barbie girl. Candy girl. Happy girl in pink dress having fun with big plastic candy or Lollipop in the Studio. Barbie party. Candy girl. Happy girl in bright clothes holding in his hand a huge marshmallow in the Studio with huge plastic candy. Sweet food and happiness concept. Barbie style. Candy girl. A young laughing girl holds a big candy in her hands and looks at her greedily against the background of colorful balloons in a bright studio.